Adapt your presentations into engaging interactive conversations. Navigate with grace by creating pathways for different audiences. Add elegant transitions to lend a polished look. 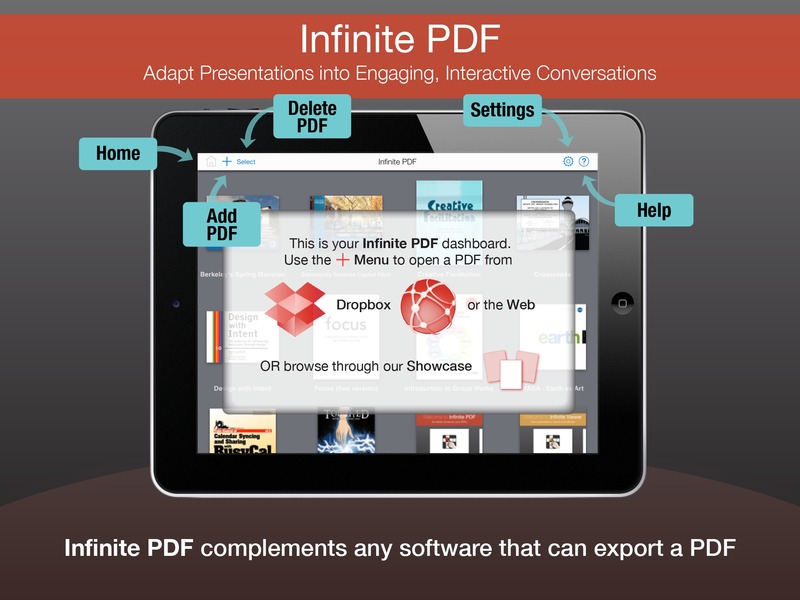 Infinite PDF complements any software that can export a PDF, including visual presentation tools such as PowerPoint or Keynote. Have you wished you for more flexibility while giving a presentation? 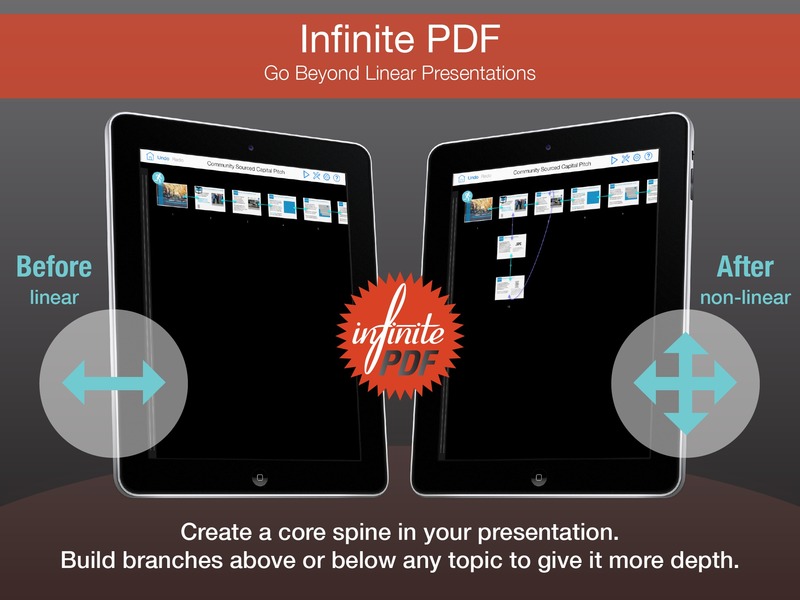 Using Infinite PDF, you can create a core spine of your main points and build branches above or below any topic to give it more depth. Then, when presenting, you can swiftly and confidently tailor your presentation to the precise needs of your audience. The result is more than just a presentation — it’s an interactive conversation. 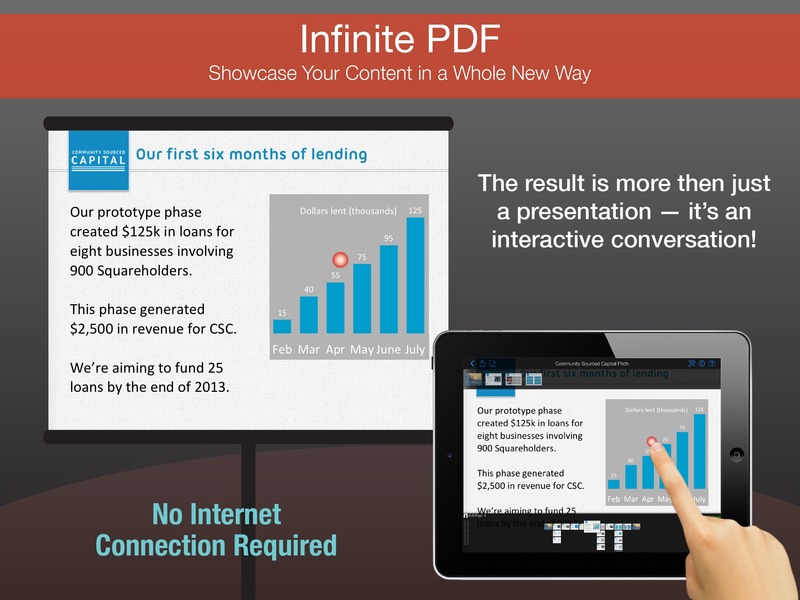 Infinite PDF has an intuitive, easy-to-use interface. 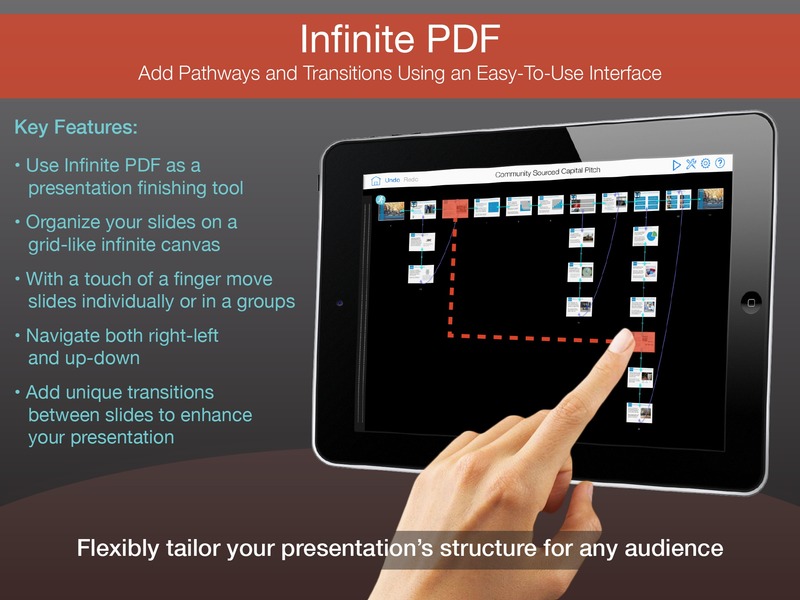 Create your slides using your software program of choice, and then apply Infinite PDF as a finishing tool. In minutes you can transform your presentation into pathways by moving slides around on an infinite canvas to build new structures in every direction. Create a multitude of presentation options. 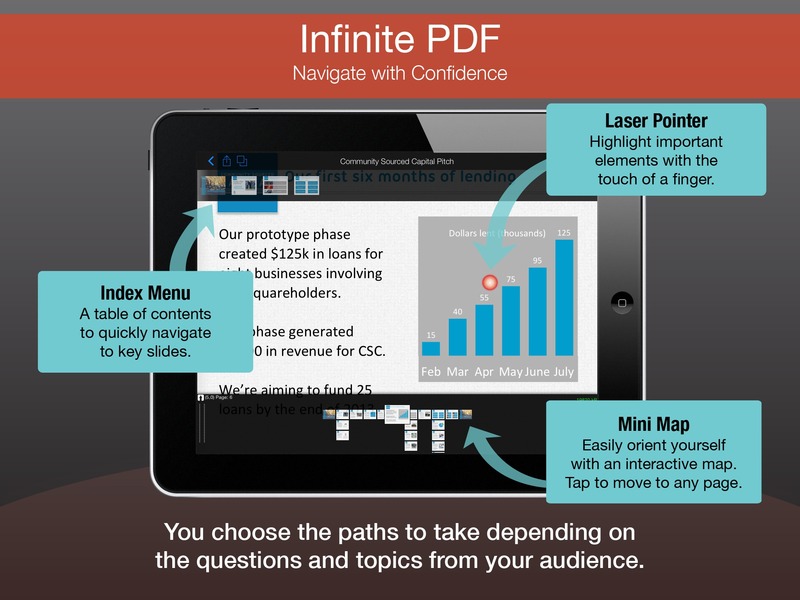 With Infinite PDF, you’re ready to answer any question and to dive into any topic, (or skip it as needed), through material that you’ve already prepared.